Established in the year 2009, we, %u201CPerfect Textile Solutions%u201D, are one of the leading organizations, engaged in trading and supplying a comprehensive range of Knitting Machine & Knitting Machine Accessories. 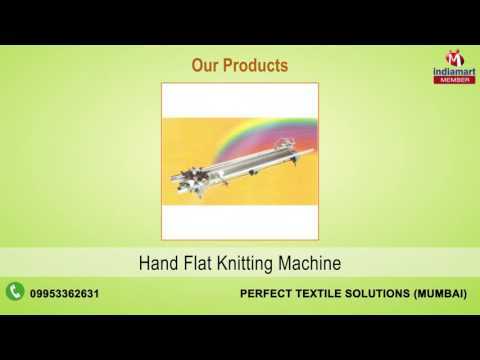 Under this range, we provide Hand Flat Knitting Machine, Semi Automatic Flat Knitting Machine, Collar Knitting Machine, Computerized Flat Knitting Machine, Circular Knitting Machine and Single Circular Knitting Machine. Apart from these, we offer High Speed Circular Knitting Machine, Fur Knitting Machine & Knitting Machine Needle.